After years of resisting, I reluctantly heeded the recommendations of friends and colleagues and started watching AMC’s Mad Men. Set against the backdrop of a Madison Avenue ad agency circa 1960, the show features major moral failures on the part of every character. Nevertheless, I admit that I am hooked—mostly because each episode offers a priceless advertising gem. Clients often ask me what to do about negative comments posted to review sites. The knee-jerk reaction is to face the comments head-on, directly addressing each and every objection. But doing so panders to whiners. Instead, make sure you are aware of public sentiment relative to your brand. Respond only to legitimate concerns. And, more importantly, make sure you help shape the conversation, which you can do on any budget. To enter the online conversation, you first need to set up profiles on every available review site. The good news is that the basic packages for these accounts are free. The bad news is that signing up is time consuming. Google Places—Since 97% of consumers reportedly search for local businesses online, provide them with the information they are looking for where they are looking for it. Google has the advantage when it comes to search. So if you want people to easily find your company, create a listing on Google Places. The site not only encourages reviews which will help you learn about what keywords prospects are searching for but also provides data to show where users are discovering your business. Armed with this information, you will be able to make better advertising decisions. Google Alerts—is a great service for listening, since it captures every mention of your company name (and the names of competitors or other key words you enter). If you subscribe, you’ll be notified every time those words are mentioned anywhere on the web. TripAdvisor—Completely free, this site boasts sophisticated search technology which helps entrepreneurs reach out to consumers at the very moment they are researching locations. Business owners list property descriptions, photos, and immediate booking. So TripAdvisor is most relevant to the hospitality industry. That said, the company has recently gotten more into restaurant and other local activity reviews, albeit with a bent toward tourism. Based on this, locals may find it more useful now than previously. Yelp—promotes local businesses in virtually every field, from dentists to hair stylists to mechanics. With approximately 66 million monthly unique visitors in 2011, Yelp has hosted more than 25 million local reviews. In addition to setting up a free account and posting photos, you can use Yelp to have open conversations with your customers. What’s more, to keep Yelp honest, an automated filter suppresses minority reviews and targets suspicious activity. And advertisers are prevented from changing or reordering their reviews, so users are more likely to trust the information. Google Places and Yelp offer paid listings. If you can afford one, it might behoove you to upgrade. But if you do, make sure you track expenses so you can figure out your cost per click. One of our clients did an experimental run on Yelp. Although the cost-per-click for his Google Ad Words campaign averaged $5, the cost of similar ads we were managing for him on Yelp came in at a hefty $20 per click. Although you might be tempted to start posting immediately after creating a free or paid account on any of these platforms, resist the urge to dive in before taking the time to listen. In the same way you wouldn’t interrupt a conversation at a cocktail party, don’t post until you understand what is going on. Listening will earn you the right to be heard. Since you can’t be in several places at once, if you can afford to, hire an agency to manage your online reputation. Most social media employees literally live online. So they intuitively understand how to proactively start relevant conversations as well as rapidly react to negative feedback…even if it’s posted by a Mad Man. 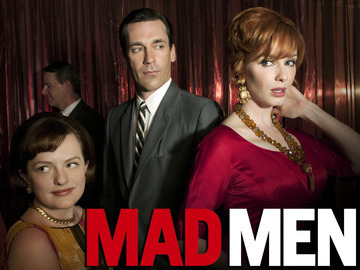 Posted on June 19, 2013, in Bowling for Business, Internet Marketing, Marketing Plan and tagged " advertising on a budget, lake arrowhead marketing, marketing lessons from "Mad Men. Bookmark the permalink. Leave a comment.